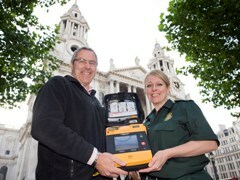 Visitors to St Paul’s Cathedral can now be assured of the highest level of life-saving care in London following the installation of a defibrillator in the Golden Gallery at the top of the dome. A man who called 999 for an ambulance after realising he was suffering stroke has spoken of his experience at a special public event. 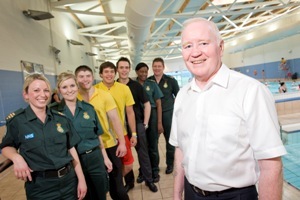 A member of staff, whose heart stopped beating while swimming, was reunited with the people who saved his life.